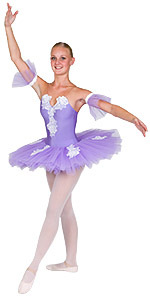 Aurora Dancewear made in the UK - Ladies Lycra dancewear: all-in-one ballet tutus, tutu skirts, leotards, unitards, unishorts, jazz pants, dance skirts, dance tops, dance dresses, body liners etc., please check with the size chart before ordering. Dancewear for men made in the UK - Mens tights, dance pants, shorts, dancebelts, unitards, leotards, jazz pants, dance tops and tutus. All dancewear is made to order in Lycra fabrics, please check the size chart before ordering. Aurora Dancewear made in the UK - Girls Lycra dancewear: all-in-one ballet tutus, tutu skirts, leotards, unitards, unishorts, biketards, jazz pants, dance skirts, dance tops, dance dresses and body liners, please check with the size chart before ordering. Dancewear for boys made in London from quality Lycra fabrics in a selection of colours and styles - Boys tights, dance pants, shorts, dancebelts, unitards, leotards, jazz pants, dance tops and tutus, please check with the size chart before ordering.